In the world of gambling, it is very important to get the best sites that offer you the best services as you spend your money on them. Lionsbet is among these, although it is newer than most of the betting sites you may have in mind. The site promises you great bonuses, betting odds that are among the best in the industry today, fast betting rates on the Lionsbet mobile platform, and a simple interface that is easy to navigate. This site is fairly new, at least compared to other prominent betting sites. Based in Lagos, Nigeria, they offer a great number of sports markets as well as additional features, mainly to attract a growing segment of customers. Founded in 2016, they have built a good reputation thanks to their virtual markets and sports betting. They started with the desktop platform, but have expanded to the mobile platforms, while maintaining a wide variety of promotions – both for existing and newer customers. The Lagos state lotteries board has also certified the site with a full gambling license, so you can be assured that your payments and activities on it are legitimate. One of the major requirements from a top betting site is the number of sports it has, in order to keep the customer interested. In this regard, the Lionsbet mobile platform has many of these traditional sports betting markets. These include the usual tennis and football games, to other sports such as beach volleyball, golf, handball and futsal. The most prominent sports aside from football and tennis are basketball and American football, and it also offers you virtual for horse racing markets if you are interested in the sport. All these sports markets number 26 in total, yet prices here remain extremely competitive – especially when comparing with other betting sites in Nigeria. In fact, the odds both the Lionsbet old mobile and Lionsbet new mobile platforms offer are among the best in the betting industry, which is surprising when you consider their short time in the industry. The odds stand at better rates when you compare them to that of other competitors on the continent, especially in basketball and football. Because of this, when you use the site, you are not required to add your picks to your bet slip to increase your chances of winning. In other cases, the appeal of this platform can also increase thanks to the prices it offers ion live betting markets. In fact, you can do some wagering on your favourite football team to score later winners of tennis players when you regularly bring interesting and appealing odds on the game. In addition, the bookmakers will offer you numerous promotions, which assist you to improve the chances of getting wins, even more than you expect. Now the site makes it easy for you to bet, as long as you are an MTN subscriber. The world it offers will be yours to explore and enjoy, and it is all free. In fact, you do not need any data to accomplish this, and it allows you to place bets at any time that you want to. The good news is that other network providers are also on the list, so you can do checks to see when they get listed. Regarding the desktop site, the sports markets are on a list on the left side, while you can access the virtual options on the top of the site. The home page contains some graphics that you can use to view the most popular sports markets, and the right side contains a bet slip. The website itself is not overwhelming or cluttered, making it easier for you to place your bets within seconds or minutes. The mobile app on the other hand, has three options you can use to navigate. 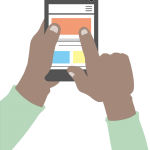 Nigeria is predominantly a mobile country, which makes the mobile version have more features compared to the desktop one. PC – if you decide to select this, the system will give you the website version that is used on desktop devices. The sports betting on the Lionsbet mobile and desktop platforms is great, particularly for football. You can access a wide variety of matches, ranging from the largest domestic leagues in Europe to other amateur leagues around the world. With more than 1,000 football markets available today, a significant number of these come from the major European leagues – Italy, England, Spain and Germany. You also have at least 20 sports to choose from. Football is the most popular option, thanks to having over 100 leagues from 60 countries. It contains the most popular leagues as well, including the Champions League, Europa, Bundesliga and Ligue 1, among others. In all these games, you have access to more than 50 markets, such as draw no bet, double chance with O/U goals, BTTS, goal margin handicaps, and many more. You can also get African football leagues if you would like to access them, such as the Nigerian top league. You can bet on individual match winners, while also placing wagers on first goal scorers, total numbers of red and yellow cards and the total number of goals. The platform also covers other sports such as handball, basketball and tennis in extensive detail, and there are other emerging sports increasing in popularity, including bandy and floorball. In fact, if you enjoy basketball more than football, you can place odds on games from 17 countries and more than 20 leagues. You get to experience a betting platform of excellent quality, since you can access thousands of markets every day. The graphics make it easy for you to follow all the action as it happens, even if you may not have the capability to stream matches live. The live page, for instance, has a section of the biggest markets on its left side –, especially on tennis, volleyball and football. You can also choose from a large number of markets, thanks to the great coverage. 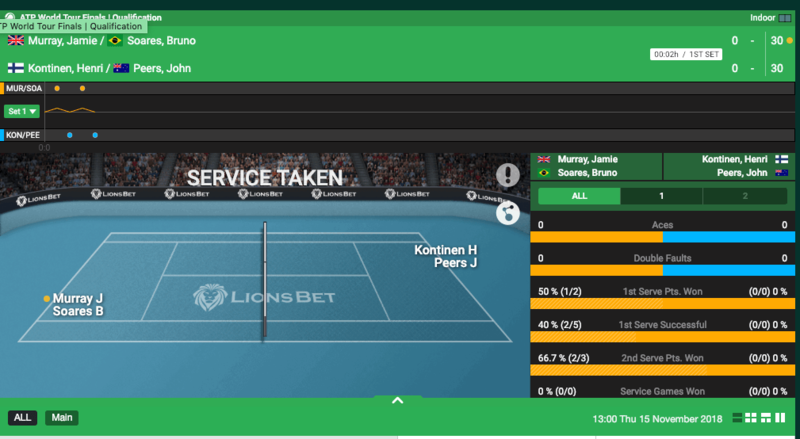 Virtual betting markets are becoming increasingly popular in terms of wagering, and the Lionsbet mobile site capitalizes on these in great detail. The platform is generous with its bonuses and payments, and you will notice this from the moment you sign up. All new customers get a very good welcome bonus, which consists of the bookmaker matching all deposits you make by up to 100% - equivalent to a maximum of 100,000 Naira. You do need to note that Lionsbet betting platforms have very strict requirements for getting these offers. One is that the bonus cash you get must be placed on bets that need a minimum of five selections in one slip, while each of your picks must have a minimum of 1.20 in odds. Aside from the welcome bonus, you also get a selection of other promotions as you use the site. Cashback – this allows you to receive a percentage of all the losses you incur within specific periods. You need to have at least 8 matches on betslip with at least 1.3 games odd. If you have a betslip with games less than 1.3 in odds, it is not eligible. 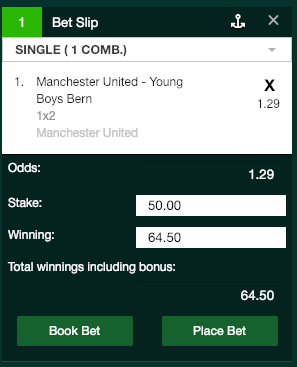 The least stake you can place is 100 naira, and if you lose your bets on a game you will get 15% of the expected wins plus the game bonuses (this does not include the game you lost). However, you cannot get this bonus on betslips that you play from Bonus balances. Accumulator boosts – this improves your total winnings from tickets, and it is a sum of accumulated games that start with at least three selections, while each of the odds must be a minimum of 1.2. However, the any void event you may have does not qualify for this bonus, so the total bonus amount you get will likely be different from what your betslip shows. The total amount will be included in all your potential wins (except successful draw-no-bet outcomes). Free bet – this rewards any loyal customer with bet placements after they achieve a certain set limit of stake amounts. They are valid for up to one week, while the minimum odds is 1.2, both for individual games and for accumulator. You can place bets on any sport you wish, and you can utilize the free betting money to place only one bet. The free bets are usually placed on Monday every day, regardless of the day that you achieved the free bet. Frequent player points – this allows you to collect virtual amounts that you can use to stake bets or withdraw for later use. The meter indicating your amount will appear when you log in to your account and scroll down. The minimum for pay-outs is 1,000 points, which you can then use to exchange to Naira and include it in the winning balance. The minimum stake for each bet is 100N, while the unique odds is 1.2 for you to get one point (each point equates to one Naira). The Lionsbet mobile platform offers you a number of options for processing of withdrawals and deposits and these should meet your needs if you live within Nigeria. They processing is free, and you select the method of payment, which will then determine the time it takes. Withdrawals will take one to seven days to process, while deposit options are immediate. You can use any of these methods for deposits: Scratch card, MasterCard, Quick teller ATM, Visa, Interswitch, and Verve (minimum deposit amount is 50 Naira). As for withdrawals, you can only use bank pay-outs (the minimum withdrawal per day is 250,000). Lionsbet mobile and desktop platforms have great levels of customer service, and the team is ready to help you at all times, and you can reach them through a variety of methods. You can access customer support through message feature, email and telephone; and you can use the live chat to get answers to your questions on demand. The platforms also has a prominent presence on social media, especially on Twitter and Facebook – you can receive and send messages. Even though you can use any of these methods, note that they are not always available on a 24/7 basis. The reputation of the Lionsbet mobile platform is very good, even though it has been in operation for a short time. What are the license and security options? The Lagos State Lotteries board regulates the licensing of the platform, while making sure it maintains strict regulations and guidelines in ensuring the safety of the players. The security of your data is thanks to the SSL Web Server certificate. This also ensures your transactions are worry-free and secure. Yes it is, you only need to visit the homepage and click on the ‘Sign up’ tab. It will take you through a short process that you should follow to create the account. You can then begin betting as soon as you create the account. Can I get free bets on the site? Yes, there are free bets every day. Note that you can only place bets a maximum of five times, and you cannot cancel or edit bets you have already placed. In order to create transparency, the rule is that you can only create one account. In case you have mistakenly created a duplicate account, you must contact the support team to get their assistance in closing the second account immediately. If the system detects duplicate accounts, it will immediately close both, and any payments that both are to receive will be forfeited. If you have any comments to our review, please feel free to contact us!